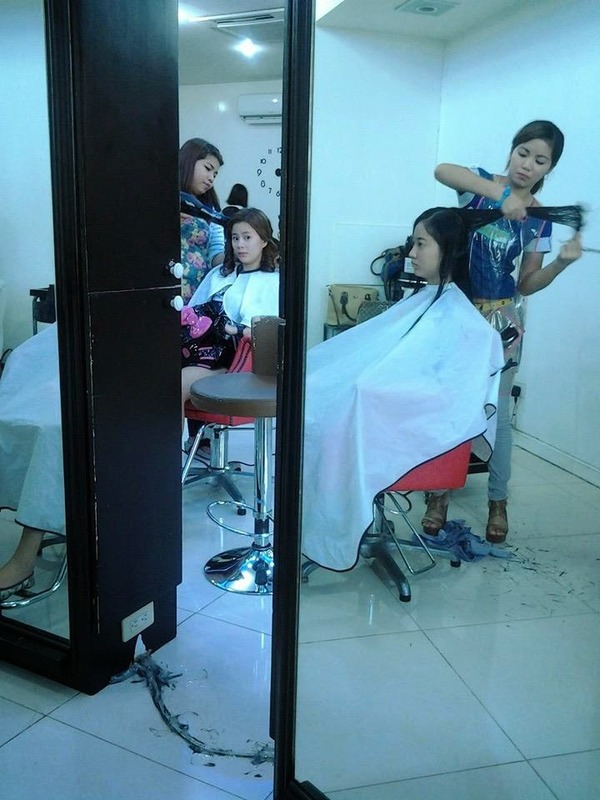 There's this Korean salon at Olongapo City which is a hit to those who love fresh hair styles and this specifically applies to teen girls. My daughter is not an exception, she usually request me to bring her to this salon whenever she needs a hair cut or a hair treatment. As a matter of fact, this is where she had hair hair done during her Prom Night! What I love about this salon is the personal touch and treatment given to their customers. They are extra sweet to their customers and would make you feel at home while inside their premises. When I had my hair cut before, my daughter was just waiting for me at the lobby but she was repeatedly offered with a glass of Iced Tea. I just had my hair cut for only Php100 but it lasted for more than an hour. The hair stylist said I've chosen the "bob cut"and this requires an elaborate procedure and that she doesn't want to finish me off not properly done. They wouldn't speed up even if there's another customer waiting and I considered that good. The day I took these photos, Mika had her hair treatment and hair cut package courtesy of her Dad and again, she preferred this to be done at Shining Star. The only problem here sometimes is that they over charge on some other services, however, I overheard some customers asking for discounts and they sometimes obliged. Personally, I am not really loyal to one salon for all the services I need like if I would have a foot spa package, there's a place for me and another for the hair cut and so on. I pick up the best in every salon and I would go in that place for a particular service that I need for myself. How about you? Do you have your favorite salon, too?